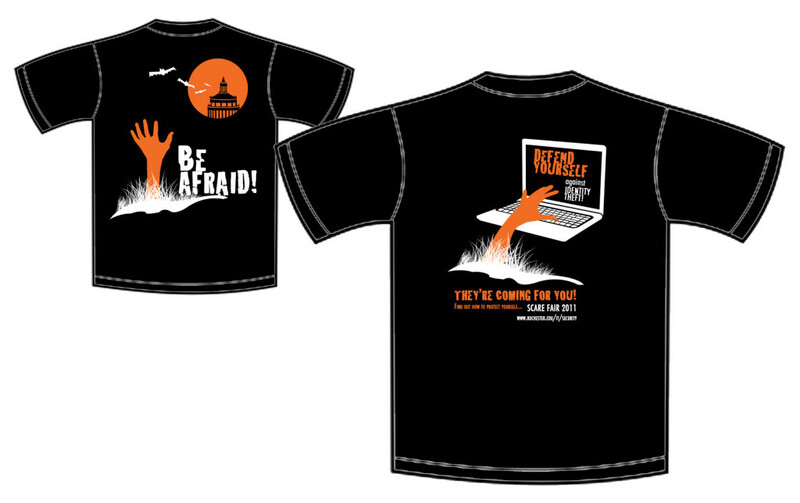 Coinciding with the University library’s annual “ScareFair” event in October, the information security awareness team hands out free t-shirts to students during the event. 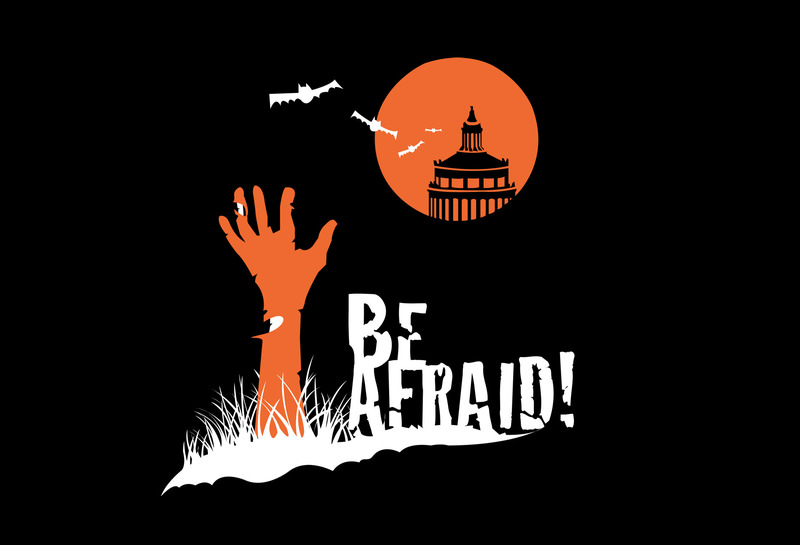 The “Be Afraid” t-shirt design was created to support the Halloween theme, while also presenting an information security tip. In this particular design, identity theft is highlighted within a zombie theme. The goal of this project was to create a fun and informative t-shirt that students will wear around campus throughout the academic year.